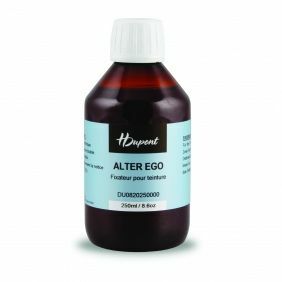 Carry out your single or double dye baths with the Alter Ego fixer. The colours for plant fibers are better attached to your fabric which then disgorges much less! 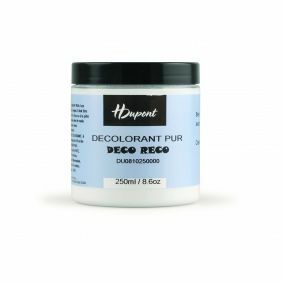 New artistic possibilities are opened to you with the burnout paste H Dupont! Create patterns in the vegetal fiber for lace or buttonhole effects. On mixed fabrics, the contrast created will be remarkable! 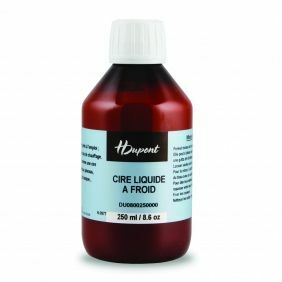 To create a thicker Classic or Alter Ego colour, use H Dupont thickener. You can make patterns on a background of colour without the paint spreading! 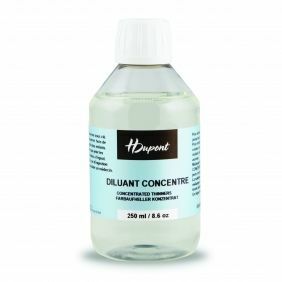 Thanks to its slow drying, the concentrated diluent allows you to work your colours longer than you could normally. Create an infinity of pastel shades using the Classic or Alter Ego dyes! 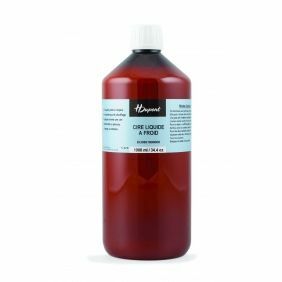 Realize your dye baths without vinegar? Impossible ! 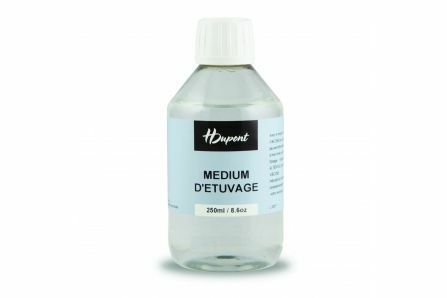 Single or double dyes with H Dupont Classic dyes always require this essential auxiliary! Combine solvent-based essence F with your solvent-based gutta! To dilute it, make it less thick if the drying has begun or even ... to make it disappear! 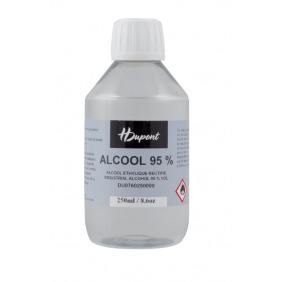 As a thinner for creating clear colours, bleach or to create colour effects on silk, the industrial alcohol H Dupont is really an indispensable material in silk painting. 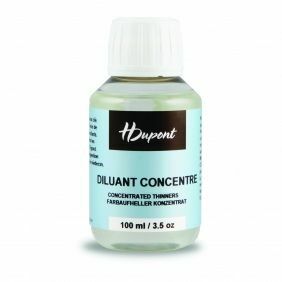 Easily discolour with pure decolourant H Dupont! 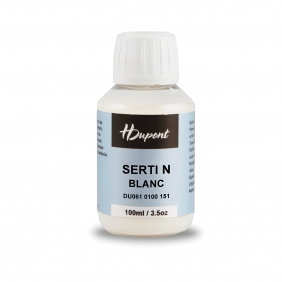 Essential for bleaching and recolouring in one step or simply to correct your achievement! Also use bleaching properties to create seamless effects. 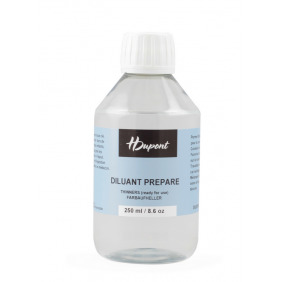 Lighten your hues with prepared diluent H Dupont! Not only will you be able to get more diffusion, but drying will also be faster. Essential for the first bath of your steamfixed textile, the Silkwash prevents colours from bleeding on each other! 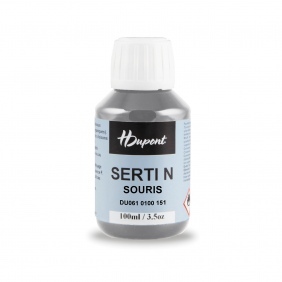 The essential anti-spread solvent-based 2M allows you to paint with H Dupont colours without using gutta to limit the spread of colour... since it no longer diffuse! This product does not change the flexibility of the material. A must try without delay! Outline with your gutta before applying H Dupont silk painting. It allows to create limits to the diffusion of the Classic or Alter Ego on the fabric! The water-based gutta can even be removed after fixing.